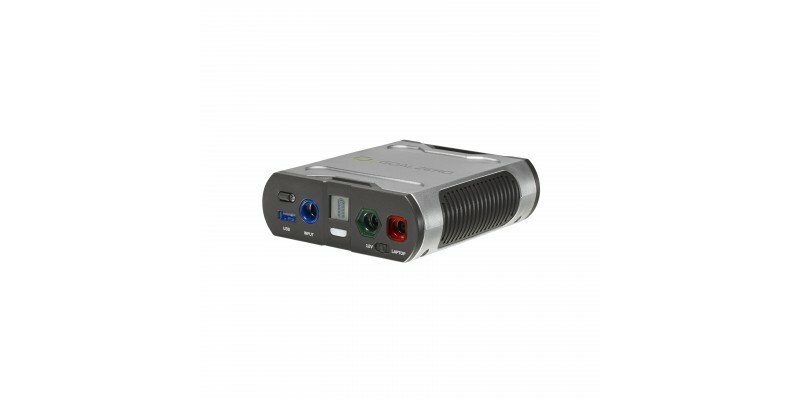 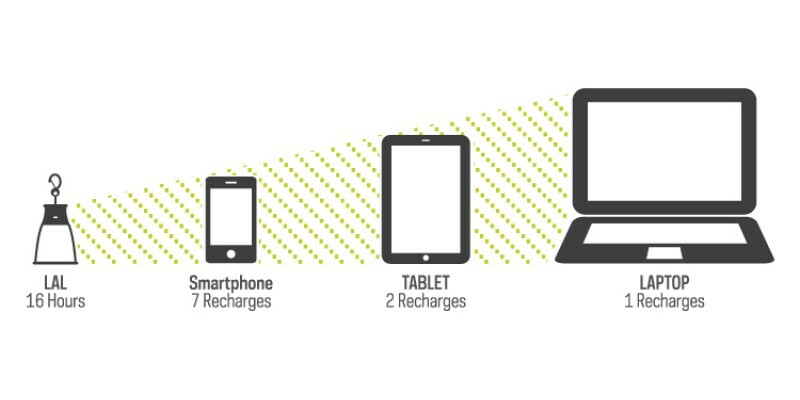 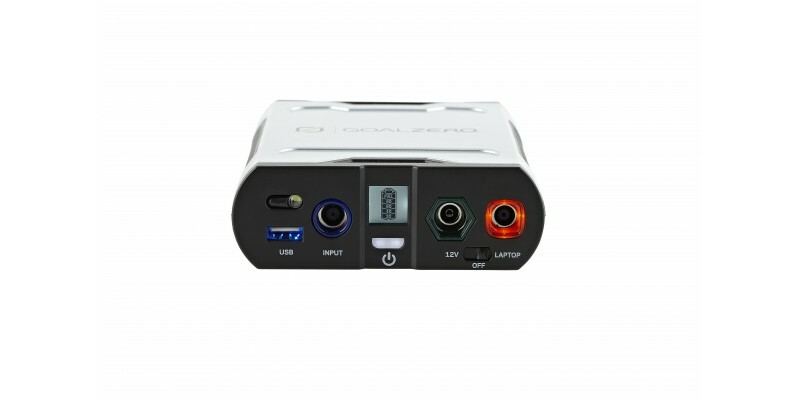 An ultra-portable power supply to keep laptops and tablets charged up anywhere you go. 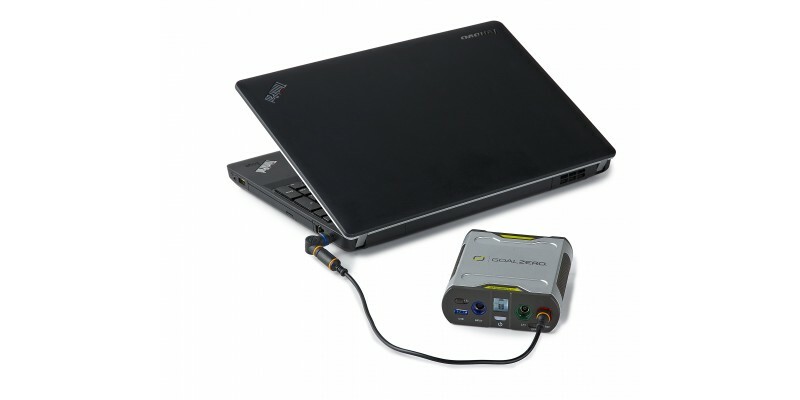 From JFK to LAX, mountaintop to beach scene, keep laptops, tablets and DVD players running for hours longer. 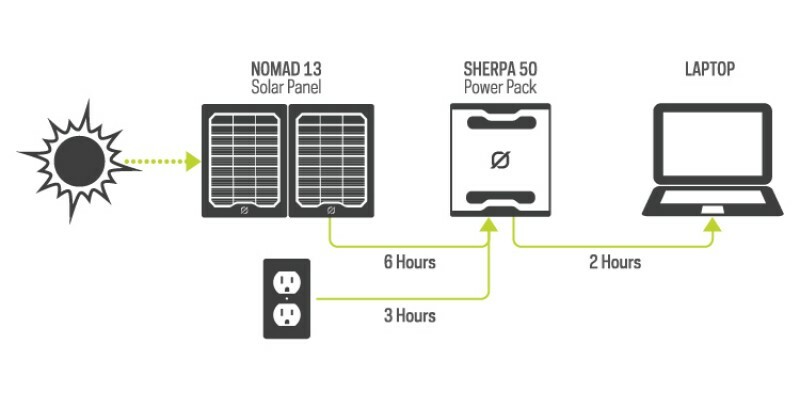 The Sherpa 50 Solar Recharging Kit is easy to pack and light to carry so your gear goes the same distance you do and quickly recharges from the wall or the sun. 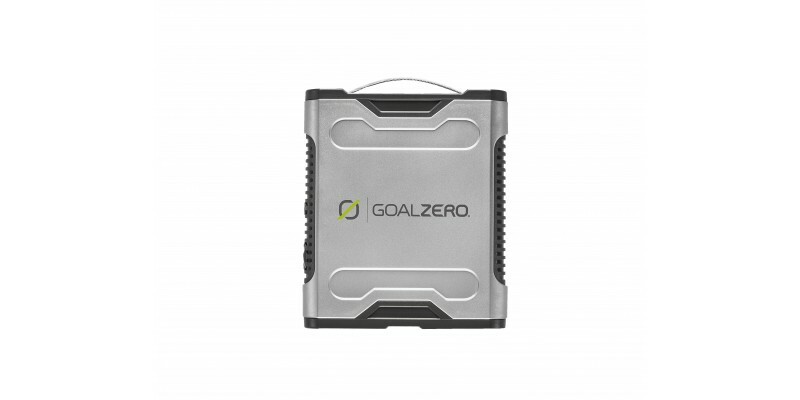 Includes the Sherpa Inverter to power your AC devices.